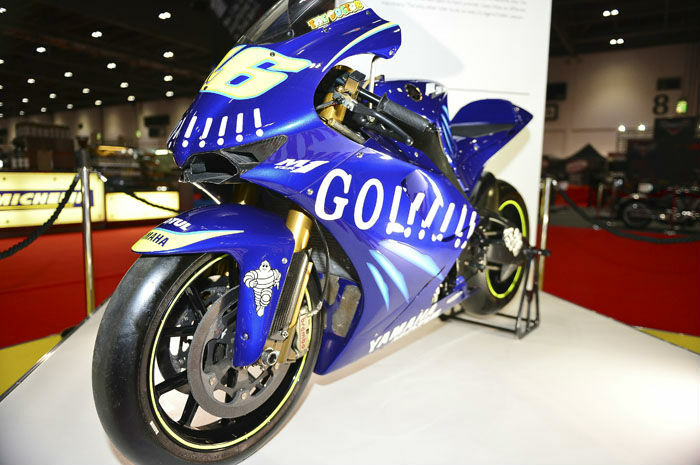 Valentino Rossi’s race bike collection was one of the highlights of the 2015 MCN London Motorcycle Show. Battling for attention alongside some brilliant classic bikes, including models from the private collections of Top Gear hosts James May and Richard Hammond, the impressive array of models could have struggled to get the attention it deserved. However there was never going to be too much competition for one of the most comprehensive line-ups of World Championship and MotoGP bikes the UK’s ever seen. And that proved to be the case with the Rossi display constantly heaving with MotoGP and racing fans. 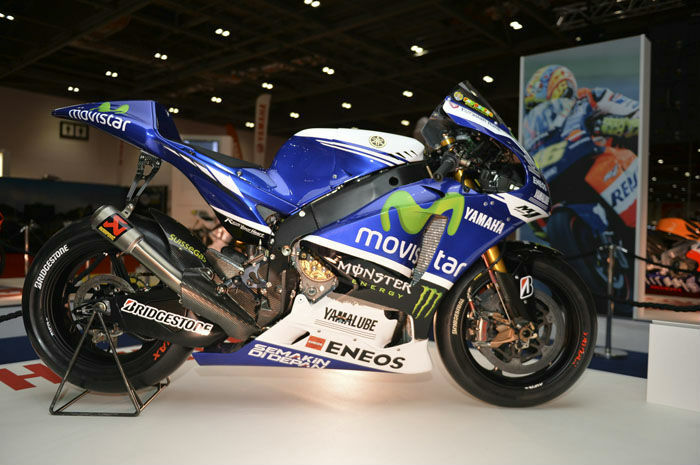 A number of different bikes from The Doctor’s racing career were on display at the ExCeL Centre, including the 2014 YZR-M1 that the Italian rode to a second place finish in last year’s MotoGP World Championship. The 2014 model will be regarded as one of Rossi’s most consistent having achieved a podium finish in 13 of the 18 races last season. And, if it wasn’t for Marc Marquez’s ridiculously good start to the season, the 2014 YZR-M1 could have been the bike that took him to a seventh MotoGP world championship. Arguably Rossi’s least successful bike, the Ducati Desmosedici from the 2011 season, was also on display however it was outnumbered by some of the Movistar Yamaha riders more fruitful machines. Rossi’s 2004 Yamaha YZR-M1 was also on show, a bike that he won his first World Championship for the Japanese manufacturer on. 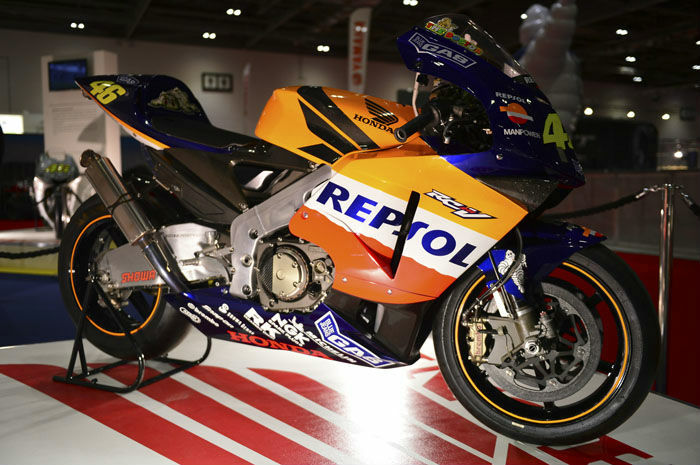 Sticking with the Japanese manufacturer theme, the Repsol Honda RC211V that Rossi rode to the 2002 World Championship also made an appearance in London. 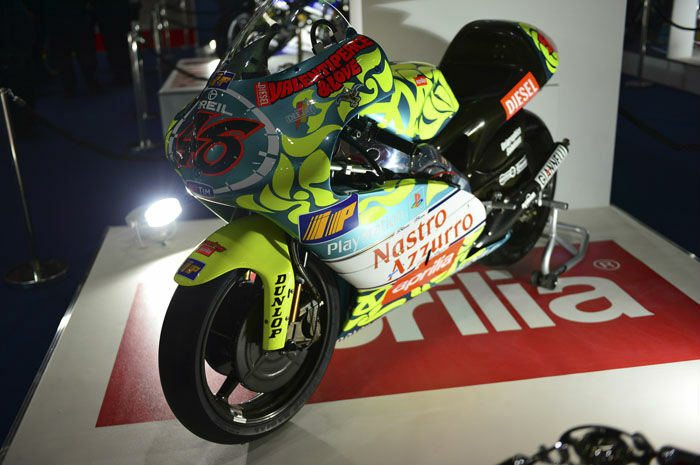 Some older models from Rossi’s career also made their way to the show, including the brilliantly colourful Aprilia RSW250 from 1999, a bike he won the 250cc World Championship on.